13 Mar : BJP’s prime ministerial candidate L K Advani has said Gujarat Chief Minister Narendra Modi was not his "heir apparent" although he may be party’s most popular leader right now. Asked by a magazine in an interview whether Modi was "standing above the other leaders of the second generation in the BJP" and if he was "heir apparent", Advani replied, "no, I would not say so. Specially when we have string of Chief Ministers who have been performing so well." To a question as to whether the Gujarat Chief Minister was the most popular leader after him, Advani replied,"why after me? He may be the most popular leader right now." 82-year-old Advani also sought to downplay the "youth card" saying, "I do not attach much importance to the so-called youth card. I don’t think age is a handicap (to being in politics) as long as one is fit. There is experience you bring with age." Describing the party’s approach in 2004 general elections as "complacent" due to "overconfidence" resulting in major debacle, the former Deputy Prime Minister said, "Now I say it’s a good thing for the party that the overconfidence has gone. The defeat in the Rajasthan and Delhi assembly elections is also something that makes us work harder." 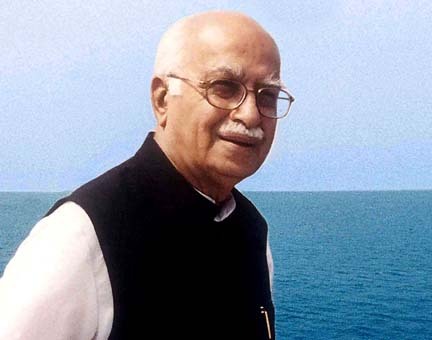 When asked about whether BJP was in touch with Jayalalitha or Mayawati, Advani said "it is known that we are in regular communication with Jayalalitha". However, he did not give further details. He also totally ruled out any possibility of Congress-BJP tie-up, saying "…I don’t think it is in the realm of possibility in our country now." Advani also demanded a commission of inquiry to look at the overall handling of the Mumbai terror attack and the intelligence situation.